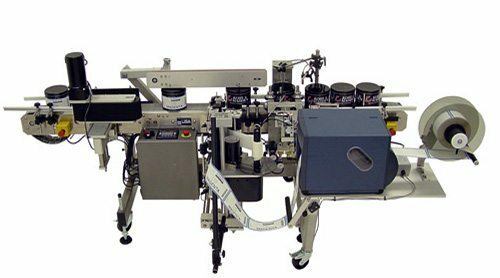 This labeling system applies labels to a specific point on a cylindrical product. The 3-roller indexing module captures the product and rotates it to a reference point. Once the position is known, the label is dispensed. A wrap station completes the label wipe down around the product.